Bactericidal air recirculator Tion A is an air cleaner and decontaminator. It is designed for reduction of microbial contamination in premises of all cleanroom classes, including ultra clean ones and infectious disease wards. 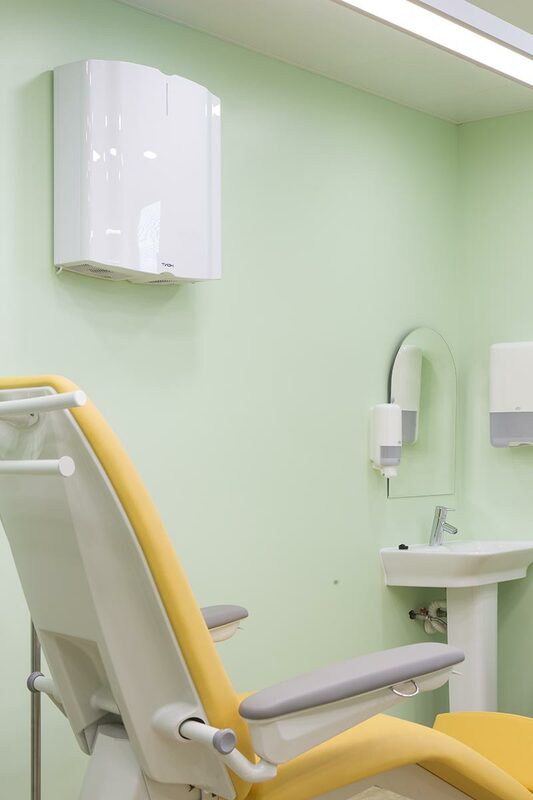 In addition to air decontamination, it provides integrated cleaning from dust, allergens, odours and harmful substances (exhaust gases, emissions and carcinogenic agents). 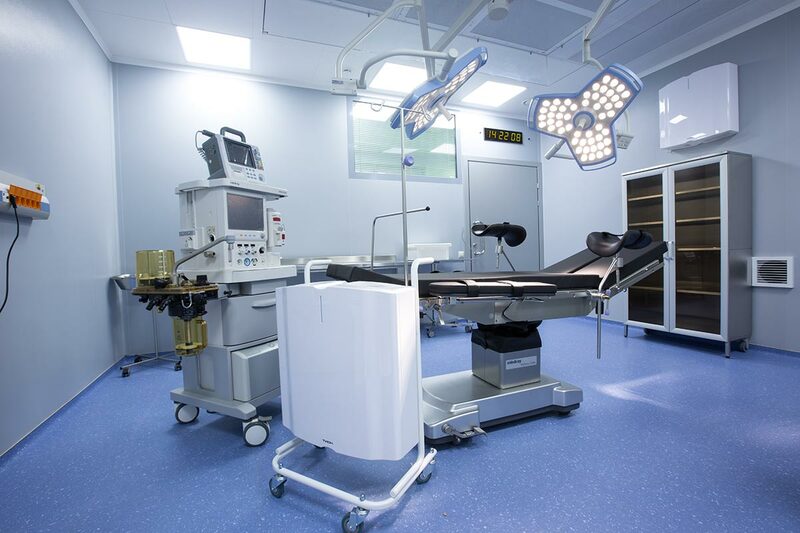 It ensures the required level of cleanliness and sterility of the air in compliance with regulatory requirements. Microbial inactivating efficiency has been confirmed for microorganisms of all pathogenicity groups, including tuberculosis, mold spores, etc. 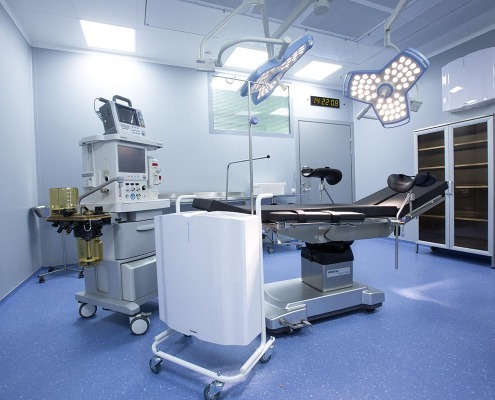 Meets the standards for medical facilities. Tion A, in addition to decontamination, filters the air and inactivates (destructs on its filters) any types of microorganisms, including highly resistant tuberculosis microbacteria and mold spores. Moreover, the air is cleaned from dust, allergens, harmful gases (cancerogenes, toxins), and odours. Tion A not only disinfects the air, but also cleans it from dust, allergens, harmful substances and odours. 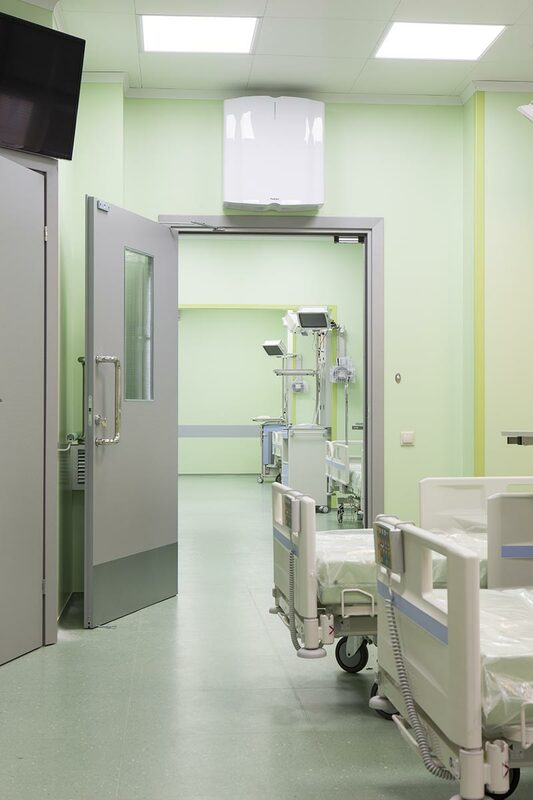 Similar high disinfection efficiency for all types of microorganisms, including those resistant to UV irradiation: mold, tuberculosis microbacteria, etc. High filtration grade prevents dead microorganisms from penetration into the premise. 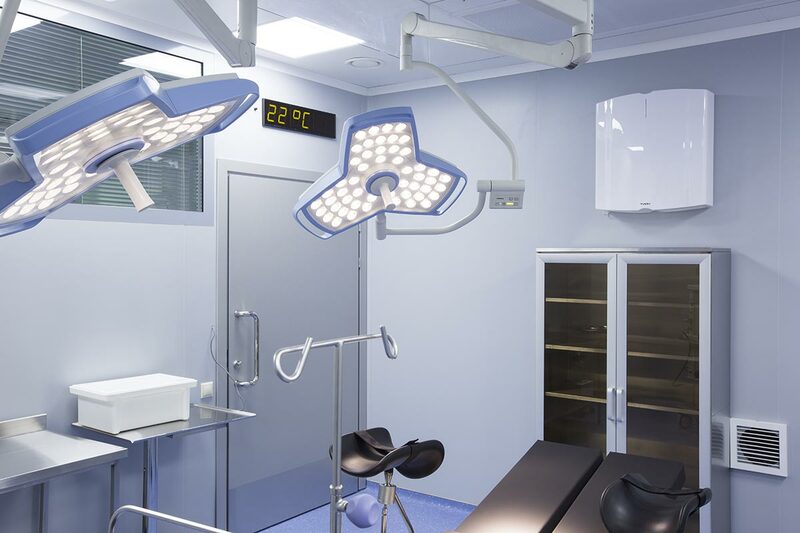 As compared to UV recirculators, no time logs are required for Tion A.
Tion A is absolutely safe for 24-hour operation in the presence of people. The power consumption is several times lower than that of UV recirculators. бактерицидный рециркулятор, бактерицидный облучатель, облучатель рециркулятор, рециркулятор воздуха, ультрафиолетовый рециркулятор, кварцевый облучатель, уф облучатель, бактерицидное обеззараживание, обеззараживатель воздуха, фотокаталитические очистители, облучатель ультрафиолетовый, лампа рециркулятор, настенный рециркулятор, облучатель солнышко, дезар, кронт, облучатель азов, армед, сибэст. The air flows into Tion A through the inlet grating and passes through a system of filters where the air is cleaned from mechanical and chemical impurities, while all types of microorganisms (including mold spores) are inactivated (destroyed), and then the cleaned air is returned to the premise via outlet port. The pre-filter (1) entraps coarse dust and prevents dust, fuzz, and wool from penetration into the device. While passing through the electrostatic unit (2), the mechanical contaminants and bioaerosols gain an electric charge and are effectively gathered on a bulk HEPA filter (3). The electrostatic unit uses ozone produced from oxygen in bactericide concentrations for inactivation (destruction) of viruses, bacteria and mold spores. Due to the inactivation, the bulk HEPA filter is permanently sterile during operation, including filter replacement (it does not require special methods for the used filters disposal). Therefore, complete microbiological safety of the filtration system is ensured. A remote controller (5) allows for comfortable use of the unit. 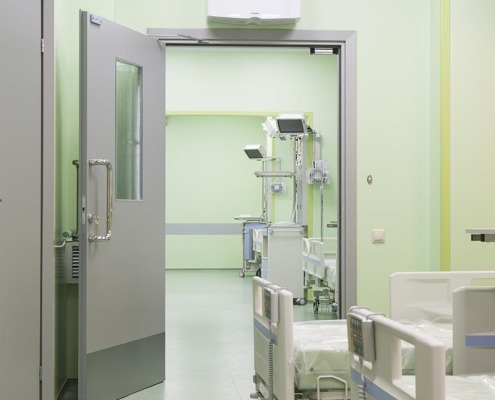 One Tion A device is sufficient for effective cleaning and disinfection of air at the area up to 18 m2. The optimal number of people in one premise per one decontaminator is up to 3. The device can be either installed on a wall or moved to different rooms with the help of a special mobile base (cart, option M). When installed on a wall, the best place is the wall located far away from the entrance door or windows. The distance from the floor to the air inlet port should be at least 1 m.
No lamp wiping, inspection or time logs are required. Inactivation of microorganisms on the filters ensures absolute sterility of replaceable elements of Tion B and abolishes the need for special disposal measures. The body of the recirculator Tion A is made of plastic resistant to disinfection treatment. 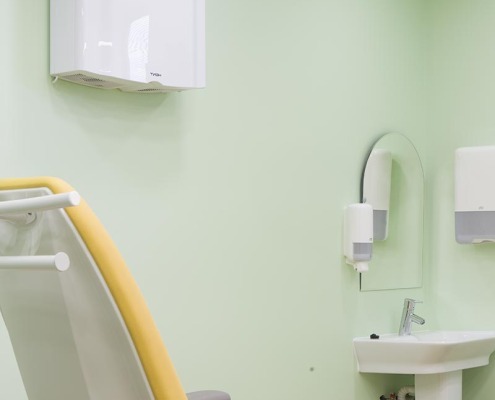 The noise level of the recirculator is no more than 40 dBA, which corresponds to hygienic standards for medical institutions and makes the use of Tion A comfortable both at day and night. Tion will not interrupt patients’ sleep. The recommended operational mode is around the clock. 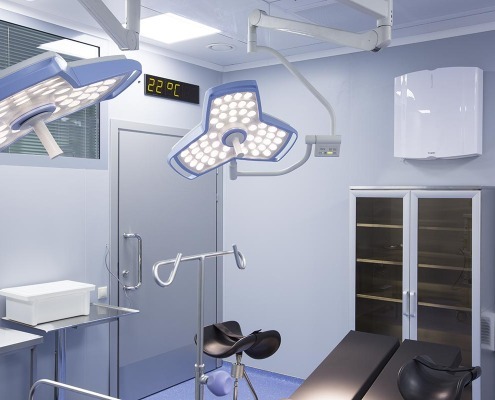 The device is equipped with a remote controller, allowing for recirculator suspending under the ceiling. Tion A maintenance consists in regular cleaning of the electrostatic unit, replacement of the pre-filter and bulk HEPA filters with adsorption-catalytic filters accumulating the contaminants. All replaceable elements are delivered together with replaceable filters priced at RUR 2000. The maintenance interval depends on the degree of air contamination (usually replacement is required no more than every 6 months) and is defined on the basis of the aftersales service contract. A signal on the device indication panel will notify about the necessity of maintenance 30 days prior to it.